Best Curtain Rods For Blackout Curtains - Enhance Sleep & Style! / Best Curtain Rods For Blackout Curtains – Enhance Sleep & Style! Last Updated: March 25 2019 Curtains are one of my most underrated parts of a home and something not everyone considers when redesigning or rethinking their home set up. Nevertheless curtains are a really important part of home design and they need to be thought through to make sure you get the best from any room. In this best curtain rods for blackout curtains you will find the best curtain rods that fit your blackout curtains! Curtains do a lot to bring together a room. The colour, fabric and style all contribute to how a room will look and feel and can even dramatically improve a living space. Curtains have been associated with the ambience and energy of a room so you have to be careful when selecting them. Like a lot of home furnishings curtains provide more than just style to your home. Curtains are used for a specific purpose and specialist varieties can do different things. Blackout curtains are one of the most popular varieties out there and the concept behind them is simple, block as much light as possible so when they’re drawn it’s dark. If you are looking for curtain rods for grommet curtains then check out our reviews! Blackout curtains are useful for any light sleepers or those who have to sleep during the day. This includes night workers and shift workers who might have to alternate shift patterns. 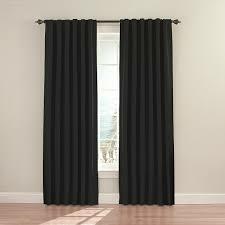 Blackout curtains also help to insulate your home and keep the heat in so you can lower your bills during the year. Before you even think about the curtains you need to consider the fittings, more specifically the curtain rod, which is going to support them. The right curtain rod is essential to get the most from your fitting and ensure it works as designed. So look no further, because we’ve found the best curtain rods out there for blackout curtains. Let’s take a closer look at each. Umbra design various equipment for the home which helps things function as they’re supposed to. They often go above and beyond adding features to products to make them more suited to your living space. The Umbra curtain rod has been made with blackout curtains in mind and with a number of features that makes it an attractive choice for a lot of people. Blackout curtains are made with thicker, heavier materials so that they can keep the light and sound out. These are heavier than regular curtains and can put a strain on regular curtain rails. This is why Umbra have designed their curtain rod to be heavy duty and support the extra weight with some solid materials. This twilight curtain rod features a wrap around design which lets any curtain rails to hug the wall and keep as much light out as possible. 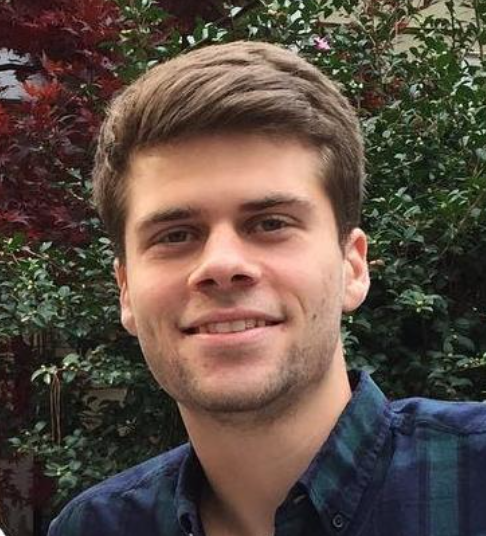 It’s been designed by Mauricio Affonso and works to look good and be useful. The twilight curtain rod is adjustable between 48 to 88 inches long so it can be used in a variety of rooms. This allows it to attach and cover any window size without any trouble. 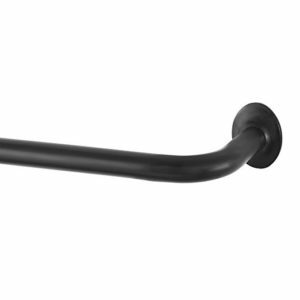 The Umbra curtain rod comes with all the tools you need to set it up on the wall. It’s one of the simplest to set up and can be done quickly by you without the need for a professional. The Umbra curtain rod has made it into our top three because of its intelligent but stylish design. It’s simple to fit but keeps out up to 99% of the light from the outside, letting you keep your privacy. It looks great in any room and it could be perfect for your home. Eclipse have looked at the curtain rods on the market and chosen to design one which let’s you get the most from your blackout curtains. The design and specification choices are all very deliberate and the materials used all come together to produce a high quality curtain rod. The rod is reinforced to support the extra weight of the curtain, but also made to hug close to the wall and keep the curtains covering all the available space and stop any side light coming in. This let’s them keep the light out of the room and keep the heat in the room allowing you to save on your bills. The Eclipse Darkening Wrap is made to compliment your blackout curtains and let them work as well as they can. The Eclipse curtain rail wraps around the side so your curtain can go right to the wall with no gaps. This avoids any light from the outside coming in the gaps and disturbing you and limits the noise pollution. Eclipse use a unique bracket design on their curtain rod. This makes it incredibly simple to fit and you can just click it in and out at your convenience. A big plus to anyone who isn’t DIY savvy. Eclipse offer a wide variety of colours and sizes for your curtain rod. This let’s you customise it to match any curtains or accessories in the room plus you can find the perfect size to fit the window in question. This let’s you keep the design in your hands more than other brands. Eclipse have built a solid curtain rod that is perfect for blackout curtains. The design and shape let you maximise your privacy and keep any room in your home completely yours with no outside influence. 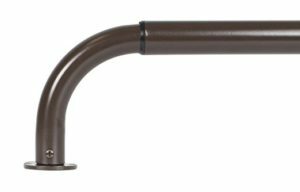 The Eclipse wrap curtain rod is definitely one of the best designed curtain rails on the market and one to consider for your home. This metal curtain rod set designed by Urbanest is bronze to give a classic look which matches most blackout curtain designs. Just like the other products it’s made to support the weight of heavier blackout curtains so you can keep your privacy. Not only does the wrap around guard your privacy it also allows you to save energy wherever possible by reducing heating costs. Noise can be reduced by as much as 41% too so if you’re in a busy neighbourhood you’ll really appreciate the quality. The style of the curtain rail is just as important as the functionality. There are 5 different finishes available for you to choose from: brushed steel, antique brass, glossy white, black and bronze. You can pick the one which matches any existing furniture and blends in, or creates a striking contrast. The curtain rod is made entirely out of metal so that it’s durable and long lasting. Once fitted to the wall you’ll be able to rely upon it in confidence that it won’t get damaged over time. Overall the Urbanest curtain rail is one of the most stylish around. It has a lot of the design features that the other companies boast but also has unique finishes and colouring to give you that extra element of choice. Stylish and function Urbanest have created a solid curtain rail. The right curtains help keep your home as private as possible and keep your personal space personal. It really is important to take your time when selecting your curtains and accessories to ensure you get the best value and product. All of the above products have been selected because of their quality and durability. The curtains rods all work to ensure your blackout curtains can do what they’re intended to do. So if you’re fitting blackout curtains in your home then these rods are definitely a good place to start looking.